Made of quality lace and polyester fabric, fully-lined, non sheer and not stretchable. 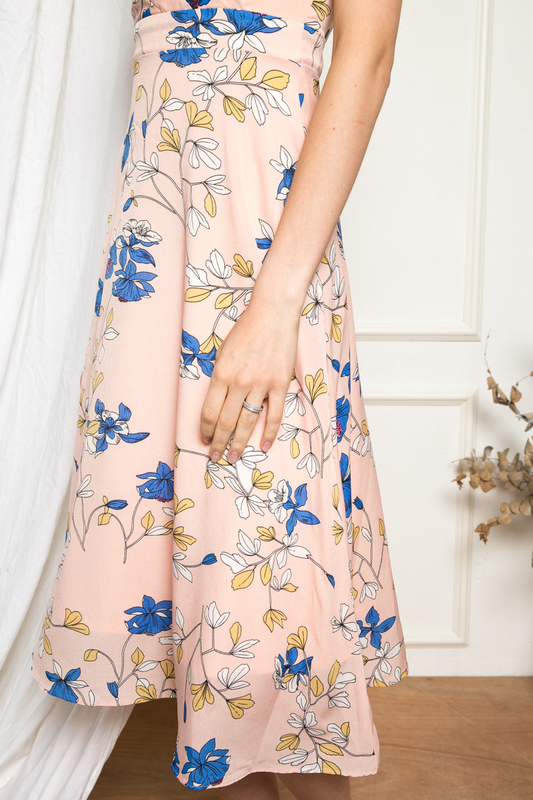 Features floral prints, v-neckline and a flared skirt. Straps are adjustable. Complete with a concealed back zipper for ease of wearing. Does not come with functional side pockets. Length 43.5" 44" 44.5" 45" 45.5"